Do you like bacon? sausage? All You Can Eat Pancakes? A chance to run into one of our amazing Creative Writing students? 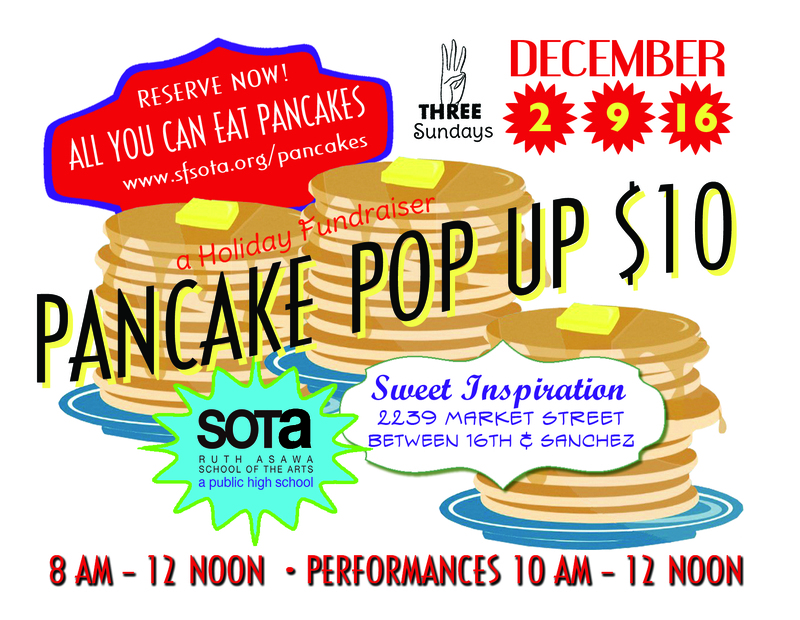 Then you should come this Sunday (or the next) to Sweet Inspiration Cafe in order to participate in SOTA’s Pancake Breakfast! This coming Sundays, December 9, and the Sunday after it (the 16th), there will be an All You Can Eat Breakfeast Buffet event to support the Artists-In-Residence program at SOTA. The events will take place from 8′ o’clock am to 12 o’clock noon, and it looks as if it is going to be a great time for all. There will even be students performing for the event! The Creative Writing department often is taught by local artists–Artists in Residence–and beginning on August 29, we will be hosting Erik Ulman, composer and Stanford lecturer, for a week. He will be teaching a Writing Through Music unit, in which students will learn how to utilize music and sound in their writing. 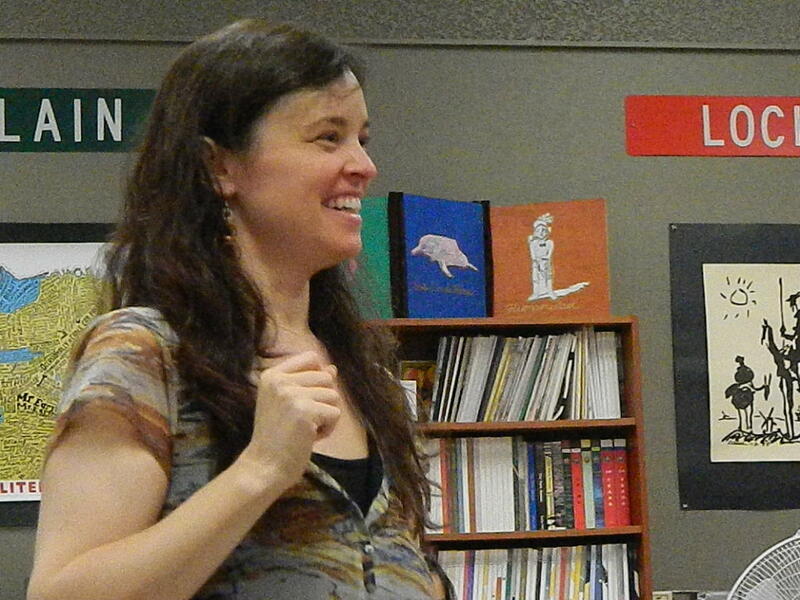 This week we’ve had the great pleasure of Jeff Mooney’s instruction, where rhythm and sound have also come into play.